Milan is located between the Po River, the Alps and Italian lakes region. The concentric layout of the city center has been influenced by the Navigli, an ancient system of navigable and interconnected canals, now mostly covered. 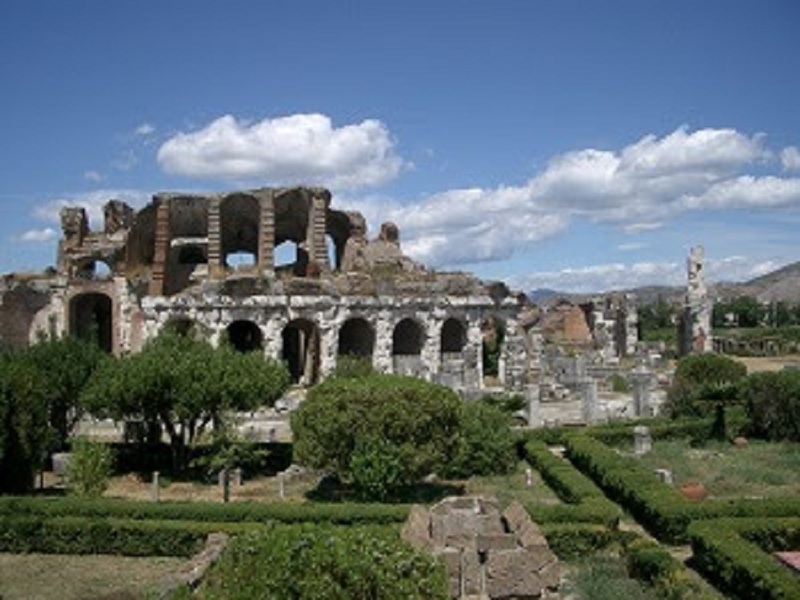 There are only few remains of the ancient Roman colony of Mediolanum. Following the edict of Milan in 313 A.D., several basilicas were built by the city gates, still standing and refurbished over the centuries. The cathedral was built between 1386 and 1577, is the fifth largest in the world and the most important example of Gothic architecture in Italy. 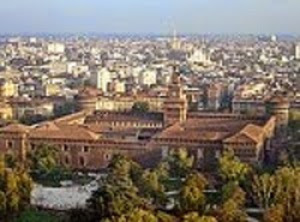 In the 15th century, an old fortress was enlarged and embellished to become the Castello Sforzesco, the seat of an elegant Renaissance court surrounded by a walled hunting park. Economy the Milan metro area generates approximately 9% of the national GDP and is home to more than 8 percent of all businesses in Italy, including many media and advertising agencies. 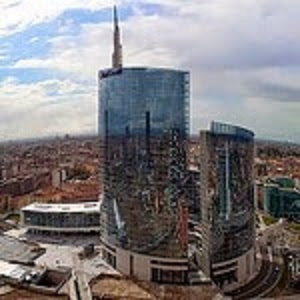 Milan is a major world fashion center - 12,000 companies, 800 show rooms, and 6,000 sales outlets - and manufacturing center. Other important products made here include chemicals, machinery, pharmaceuticals and plastics. Other key sectors in the city's economy are advanced research in health and biotechnologies, engineering, banking and finance. Museums and Art Galleries the Brera Portrait Gallery holds one of the foremost collections of Italian paintings. The Sforza Castle hosts numerous art collections and exhibitions, especially statues, ancient arms and furniture. Leonardo Da Vinci worked here from 1482 until 1499 and was commissioned to paint the Virgin of the Rocks and the Last Supper. Milan was affected by the Baroque in the 17th and 18th centuries, hosting numerous artists, architects and painters of that period, such as Caravaggio. In the 20th century, the city was the epicenter of the Futurist artistic movement. The Museo del Novecento is a 20th Century art gallery with sections dedicated to Futurism, Spatialism and Poor Art. 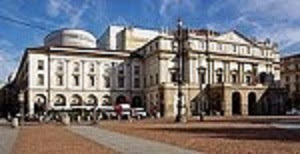 Music Milan is a major national and international center of the performing arts, most notably opera. La Scala is considered one of the most prestigious opera houses in the world, hosting the premieres of numerous operas since the mid19th century. Other major theatres in Milan include the Arcimboldi and the Lirico.The city also has a renowned symphony orchestra, conservatory and is a major center for musical composition. Fashion and Shopping a global capital in industrial design, fashion and architecture, Milan is the commercial capital of Italy and one of Europe's most dynamic cities, it accounts for the lion’s share of the fashion trade, with some of the most renowned fashion houses headquartered here. Its upscale fashion district and Galleria, the world’s first shopping mall, offer the best shopping opportunities. Architecture and Design the city’s modern skyscrapers and unique liberty style office and apartment buildings make it a trend setter in architecture. Milan is also a leader in high-quality furniture and interior design and is home to Europe's largest permanent trade exhibition - Fiera Milano - and one of the most prestigious international furniture and design fairs. Milan has recently undergone a massive urban renewal with several famous architects taking part in projects such as EXPO 2015. 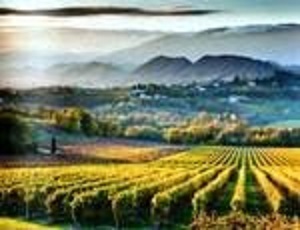 Food and Wine home to a proud culinary tradition, Milan specialties include classic dishes like cotoletta alla milanese, cassoeula, stewed pork rib chops and sausage with cabbage, ossobuco, risotto, busecca and brasato, salami and gorgonzola cheese. Sweets include chiacchiere, panettone and tortelli. World-renowned restaurants and cafés can be found in the historic center, Brera and Navigli districts. 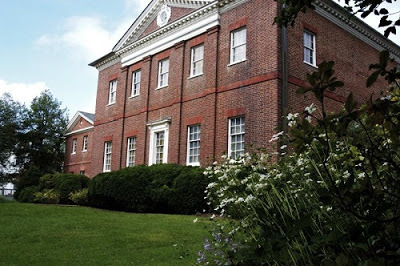 History Buckland immigrated to the colonies in 1755 as an indentured servant to George Mason of Virginia who commissioned him to work on his home, a seemingly modest site called Gunston Hall. The young architect is credited with introducing a variety of designs into mainstream architecture in the colonies. 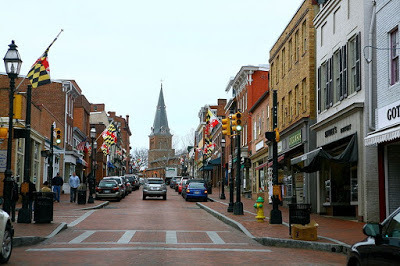 After several successful commissions in Virginia, Buckland ventured to Annapolis, where his hand can be seen at the Chase-Lloyd House. The crowning jewel of Buckland’s career, however, was the house he designed for Matthias Hammond. This house was the only one of his many commissions that Buckland designed and executed in its entirety. He died before the house was finished. Ironically, the man for whom Buckland erected this masterpiece never lived at the house. 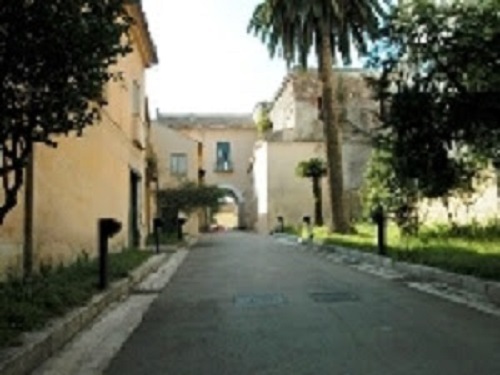 In the waning years of the 18th century, the house was rented by many a well-known Annapolitan, including Judge Jeremiah Townley Chase, a one-time mayor of the city. In the 19th century, the elegant mansion was home to the Pinkney and then the Loockerman families. 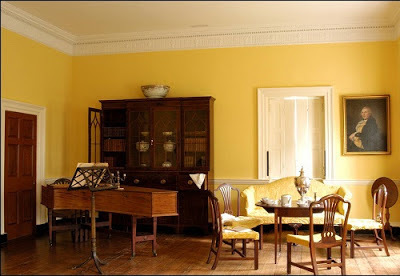 In an uncanny twist of fate, William Buckland’s great-grandson William Harwood married into the Loockerman family, thereby bringing the Buckland clan into the house. William Harwood’s progeny lived at the Hammond-Harwood House until 1924. Through the Civil War and World War I, the house remained an enduring fixture in Maryland’s capital city. After the death of Hester Ann Harwood in the 1924, the house seemed destined to become a memory. Fighting off bulldozers, St. John’s College purchased the site in 1926 and used it for their decorative arts program, the first of its kind in the country. The economic woes of the 1930s, however, forced the College to search for new owners. Finally, in 1940, the Hammond-Harwood House was purchased by the newly formed Hammond-Harwood House Association. Since then, the site has served thousands of visitors and has become a landmark of colonial architecture. Architecture the Hammond-Harwood House is a five-part Anglo-Palladian (derived from 16th Italian architect Andrea Palladio) mansion that features some of the best woodcarving and plasterwork in America. It maintains a kind of symmetry and system of proportions that are rarely seen in buildings of this period. 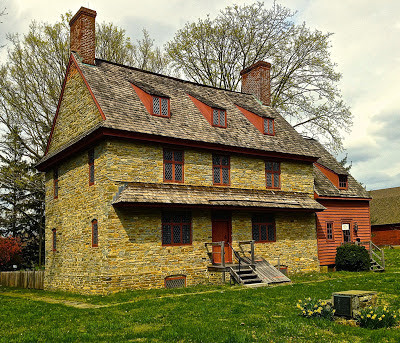 While most 18th century structures were fashioned by amateurs and artisans, the Hammond-Harwood house was clearly the work of a trained professional architect. Decorative Arts the museum proudly showcases the finest collection of colonial furniture in Maryland. With authentic works from Philadelphia, New York, Massachusetts, England, Ireland, and China, the collection represents a broad spectrum of 18th century artistic endeavors. Crafts from Annapolis are also featured in the collection, with special emphasis on cabinetmaker John Shaw whose shop is still standing on State Circle. Today, Shaw pieces can be viewed in almost every room in the house. 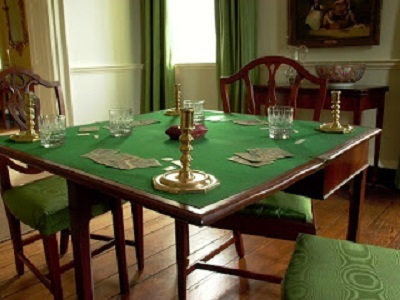 They include a slant-front bookcase in the Study, an elegant dining room sideboard (an original Harwood family piece), a tall case clock now in the Dining Room, a gaming table covered with a green baize table top, and a host of profoundly beautiful chairs that clearly mark this craftsman as a master of his trade. Visitors can also get a glimpse of the everyday lives of colonial men and women as they are treated to authentic items like an 18th century watercolor set, a period medicine chest, a surveyor’s set of drafting tools, a delicate sewing kit, a pair of colonial spectacles, a child’s furniture set, and a vast assortment of colonial kitchen artifacts. Fine Arts of special interest are the many images by portrait painter Charles Wilson Peale whose sensitive touch, delicate brush strokes, and knack for capturing the essence of the sitter made him one of the 18th century’s premier painters. Not only does the museum retain Peale paintings that are original to the house, but the Hammond-Harwood House also exhibits one of the most beloved of Peale’s portraits—a painting of six-year-old Ann Proctor. Time stands still for visitors as they examine, first hand, the doll which he painted in Ann Proctor’s lap over 220 years ago. Session III: Students dress in colonial clothing, make hornbooks, write with quill pens, or paint. 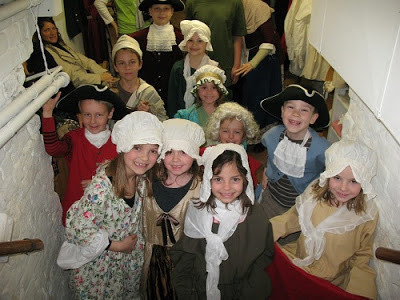 Colonial Adventure Tour for 3rd - 5th graders, students step back in time and learn about the lives of the men, women, and children living in Maryland during the 1770s. 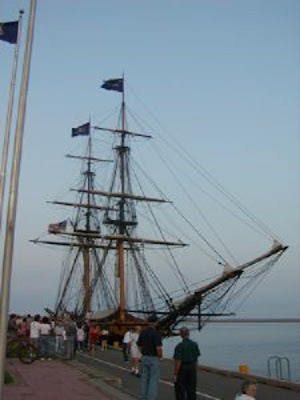 The tour is divided into two 45-minute sessions. In one session, students tour the colonial mansion and learn the basics about colonial life and history through an open dialogue with our expert guides. In part two, students touch or make several of the things they have seen in the house. Through the use of reproduction artifacts and imaginative, interactive games, students get a direct sense of what it would have been like to be an artist, a furniture maker, a gentry man and lady, a servant, and more. They can write with quill pens, make a sachet, play with colonial toys, paint a miniature portrait, play with colonial cards, build a replica brick wall, experiment with furniture. Session II: Examination of primary sources documents including wills and inventories, of reproduction artifacts and clothing. Emphasis on learning through real documents and 18th-century objects. Reading and Writing History designed to give high school students a hands-on lesson about Colonial American history. The program is divided up into three mini-sessions each with its own goals: a colonial house tour, an introduction to history resources, and a session of hands-on group study. The program covers topics which include common and indentured laborers, slave life, the life of craftsmen, gentry activities and leisure time, decorative arts, and architecture. Enhance awareness and knowledge of conservation approaches. Veneto is the most productive wine area in Italy and a unique area where the flavors of the local products combine to create delicious dishes, both in traditional and innovative ways. When natural products are put together to create a dish, the choice of ingredients and the way they are combined, cooked, and eaten are a function of identity, lifestyle and social status. Cooking classes designed to acquaint you with Venice and its territory by explaining how these local dishes developed and changed over the centuries. Learn to cook a savory risotto al radicchio, sweet white asparagus, baccalà, corn meal with boiled baby shrimp seasoned with Italian dressing, homemade noodles with basil pesto and scampi. Medieval Treviso walk along its narrow, pebbled streets and chic boutiques. Learn the history and mysteries of the city known as the Garden of Venice. 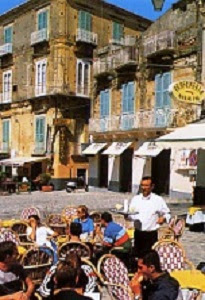 Have lunch in a typical restaurant and enjoy a typical Spritz with Cicheti in a local Cicchetteria. 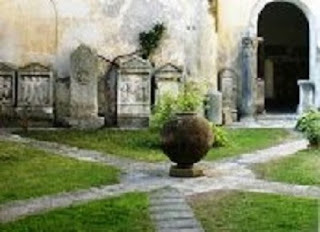 Venetian Villas participate in a typical cooking class, where you will learn some of the secrets of the Venetian cuisine, in a charming Venetian Villa designed by Palladio and walk through the medieval village of Asolo, a widespread museum. The first director, professor Gabriele Iannelli, a distinguished archaeologist, historian and epigraphist who, according to the words of Norbert Kamp "possessed a truly unique vision for his time of the entire Capuan tradition "- was a tenacious organizer who managed the museum for over 30 years. This is the story of two ships, their masters and how they reacted in the aftermath of a mishap. You have heard of the Costa Concordia; a ship with state-of-the-art navigation and communications technology. The other ship was a 1637 ton sailing barque that lost all its masts in a storm off the Falkland Islands in December 1905. So, at face value nothing in common; different times and ships, part of the world as well as type and cause of the accident. Even the ending is different: the sailing ships managed to limp into Montevideo harbor after 46 days with its valuable cargo of nitrates intact. What they have in common are the culture, values and traditions of the two masters and crews. So, how could their behavior and performance after their respective mishaps have been so different. There are of course many reasons but the one that is key is the role of a ship’s captain, and for that matter any business or government leader, in the 21st century compared to 100 years ago. 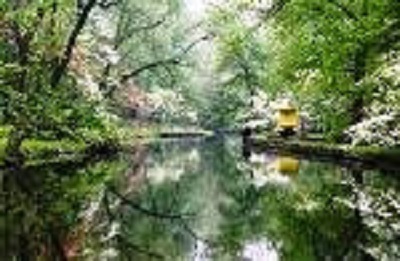 Today a ship and its captain are pretty much on automatic pilot; in fact, many decisions are made off the ship in an office somewhere where “managers” decide on a course of action. While maintaining objective responsibility, a captain is reduced to a mere figurehead. The captain of that other ship was the ultimate decision maker. He had no choice, being so far away from home and for long periods of time. 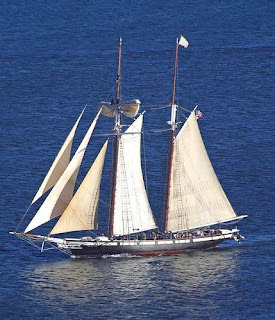 He and the ship owner shared in the risk and responsibility as well as in the rewards in the event of a successful voyage. In other words: total accountability! Technical issues aside, this could be a determining factor in the performance aboard ship and in the conduct of a business, a government or a nonprofit institution. A century ago the captain had every incentive to perform. He also had total responsibility and the unconditional allegiance of the crew; the ultimate team effort with a clear leader! Today’s captains are salaried employees. 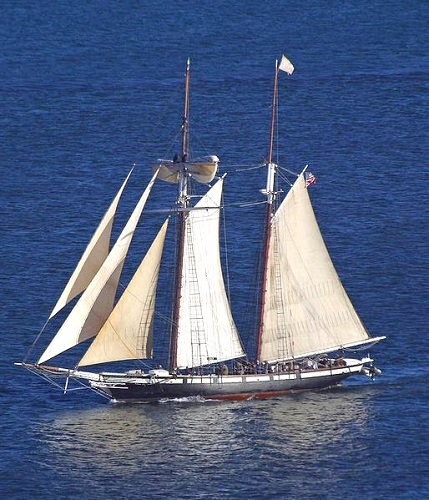 Nothing wrong with a salaried employee but who are the real de-facto captains of today’s ships? The implication is that today’s highly trained and sophisticated managers do not take responsibility by design. They have a job to do and they do it extremely well. Under this scenario, when something goes wrong it is difficult to establish accountability and assign responsibility. More importantly, it takes a long time to determine the causes of a problem and make the necessary adjustments. Systems with diffused power and limited liability have major advantages but, as with the economic crisis of the last several years, they also lead to disasters with long term consequences for everyone. 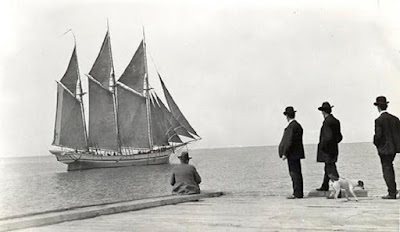 Note: The captain of the sailing ship was this writer’s grandfather. Champaign County is nearly equidistant from Chicago, St Louis and Indianapolis; a thriving micro-urban oasis supported by local agriculture, technology and research and home to the University of Illinois. The College of Agriculture, Consumer and Environmental Science is a leader in crop science, bioenergy and animal science. 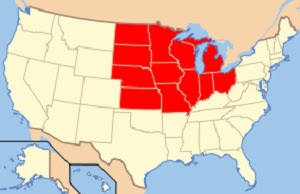 Farmer-owned Grain Cooperatives in America’s heartland and the Illinois grain belt; rich soils and modern farm practices produce record yields of quality grains. Ethanol and distiller’s grain production. Research in soybeans, from production to consumption, by the National Soybeans Research Laboratory. The National Center for Supercomputing Applications, whose Blue Waters Supercomputer is the largest and most powerful on a university campus and among the largest in the world. 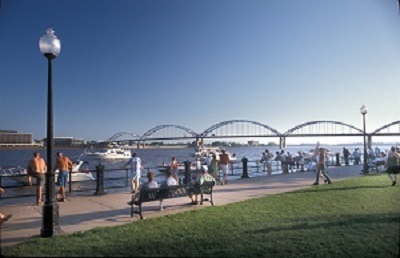 Rock Island downtown is known for its festivals and nightlife with Cajun food and zydeco music; Jamaican food and reggae music; and a fall Irish folk festival. Family activities include the country's largest go-kart street race. Experience a downtown architectural tour and the Broadway Historic District. 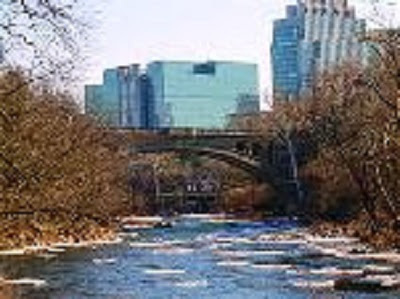 The North Shore Communities along Lake Michigan are minutes from Chicago’s city center: Evanston, Glenview, Northbrook, Prospect Heights, Skokie, Wheeling and Winnekta. 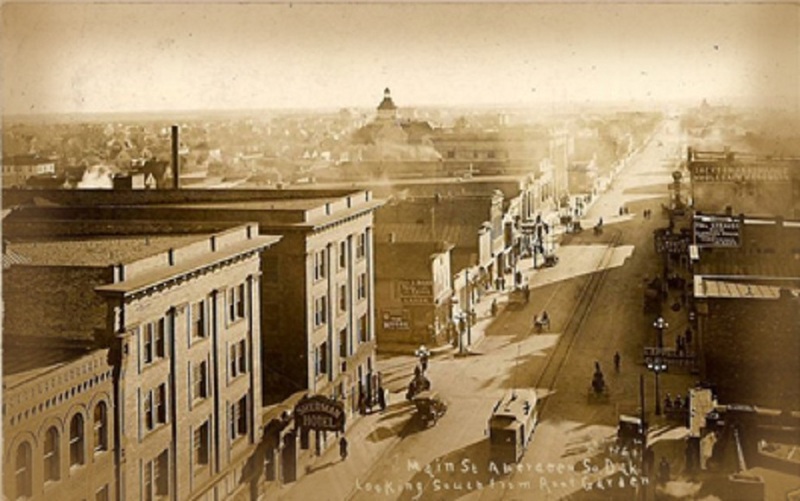 Aberdeen South Dakota Before the arrival of European settlers, the area was inhabited by the Sioux Indians. The first group of Euro-American settlers to reach the area in the 1820s was a party of four people, three horses, two mules, fifteen cattle, and two wagons. This group of settlers was later joined by another group the following spring, and eventually more settlers migrated toward this general area. Like many towns of the Midwest, Aberdeen was built around the newly developing railroads. 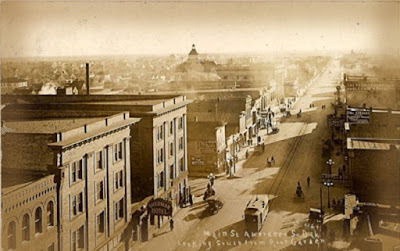 Officially plotted as a town site on January 3, 1881 by the Milwaukee Road which was presided over by Alexander Mitchell, who was born in Scotland, hence the name Aberdeen. The town was officially founded on July 6, 1881, the date of the first arrival of a Milwaukee Railroad train. The Dacotah Prairie Museum The idea for a community museum in Aberdeen dates back almost 70 years. In 1938, John Murphy, a Northern State College professor, and Marc Cleworth, a salesman, created the Northern South Dakota History Museum which was housed on campus. 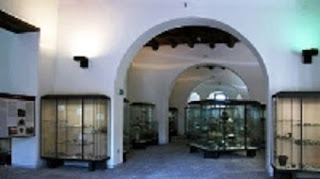 The collection of this first museum grew rapidly through loans and donations until by 1941, it had amassed a collection of over 500 items. 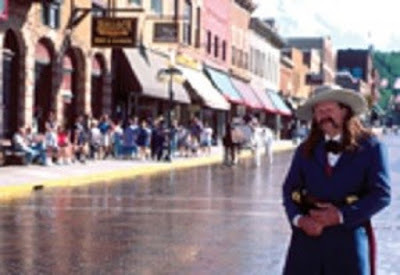 Rapid City is centrally located to visit the Black Hills, Mount Rushmore, the Crazy Horse Memorial, Custer State Park and the Badlands. Western and Native American Heritage throughout the city you will find Native American history exhibits, fine arts display, and interactive museums like the Journey Museum that takes you from the formation of the Black Hills over 2.5 billion years-ago to the continuing saga of the Western frontier.